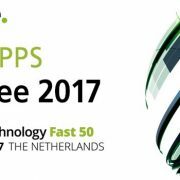 Number 19 Deloitte Technology Fast50 2017! https://parentcom.com/wp-content/uploads/2017/09/nieuwsbericht2-kopie.jpg 350 800 Marketing Concapps http://comparentc-ravne.savviihq.com/wp-content/uploads/2017/12/parentcom_bannerlogo_wide.png Marketing Concapps2017-10-19 15:51:152018-01-17 10:20:52Number 19 Deloitte Technology Fast50 2017! Which app is best to help my school communicate with parents?